Strathfield, Australia – What happens when a prominent figure of state mistakes a particular race for another, greets them in the wrong language and gets corrected for the blunder in front of national television? He gets accused of racism and many more underlying issues. Australian Prime Minister Scott Morrison received online backlash for assuming a Korean woman was Chinese during the first street walk of his campaign in Strathfield, an inner west Sydney suburb on April 13 (Saturday). 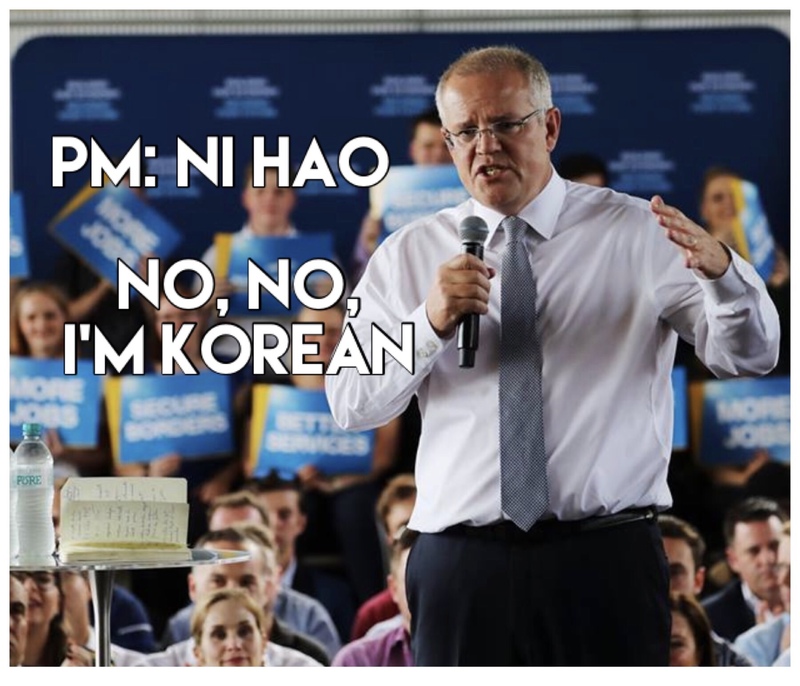 Morrison, who just finished a visit to a Korean restaurant and made some cakes in the kitchen, proceeded to mingle with locals in the area. At one point, he was greeted by an Asian lady. As he extended his hand, Morrison said, “Hello how are you?” and received an incomprehensible reply from the lady. Morrison then said, “Ni hao, how are you?” to which the lady said, “No, no, no, I’m Korean,” and continued to say how she came from the Korean community in the area. All of that in front of journalists, reporters, cameras, and onlookers. Although the woman wasn’t too affected with the confusion, many of the online community has labelled the Prime Minister a racist. @rwerkh gave a bit of an insight on how Strathfield has a high population of Koreans and that almost every business in the area is Korean. Then we have @mpwoodhead who commented on the fact that it is important for a leader of state to know his own city. For @hingers, a certain policy is deemed mandatory for Morrison: “Which kind of Asian are they” training.